Could you spare us 5 minutes? We would love to know what you think of The Money Statistics so have set up a short survey here. With your feedback, we will keep improving the report, making it as useful as possible to its readers. Many thanks in advance! 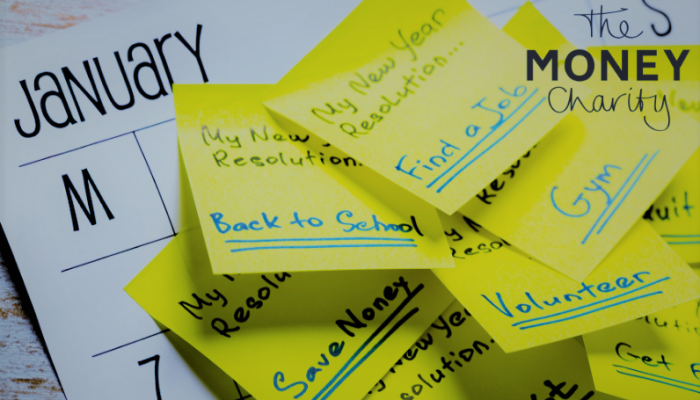 The UK’s New Year’s Resolution should likely be a financially-minded one, with the recent pattern of low savings and steadily rising debt continuing towards the end of 2018, according to the January 2019 Money Statistics, produced by The Money Charity. The balance of savings and debt throughout the UK in 2018 continued to be uneven, as the third quarter of the year saw an average household savings rate of just 4.3%. At the same time, average consumer debt per household reached £7,854, with the average total debt per household (which includes mortgage debt) hitting £58,948. In the year up to November, average total debt per UK adult rose by £898.71, which equates to around 3.3% of average total pay. While an amelioration in pay would improve this picture, the latest figures from the ONS instead reveal more than a decade of pay stagnation with average real pay (pay adjusted for inflation) in November 2018 5.7% below the pre-crash peak in February 2008. The uneven picture continues when examining the marked disparity between typical interest rates being offered for savings and those for loans. The average cash ISA rate in November 2018 stood at just 0.88% in contrast to the average credit card interest rate, which was 18.69%. Against the backdrop of this rate, if credit card holders were to make only the minimum required repayment each month, it would take around 26 years and six months to pay off the average credit card debt per household of £2,643. This timeframe reduces to 5 years and three months if the cardholder pays the initial minimum as a constant amount each month, rather than paying a decreasing monthly minimum. In November 2018, UK borrowers paid a total of £140 million per day in interest. “At a time of year when people are looking for a ‘fresh start’, alongside counting the impact of a busy Christmas and holiday break, the need for sound financial planning, clear budgeting and greater financial understanding across the UK is clear. On average, a UK household spends £3.97 a day on water, electricity and gas. Government debt increased by £86 million a day in the year to November 2018.